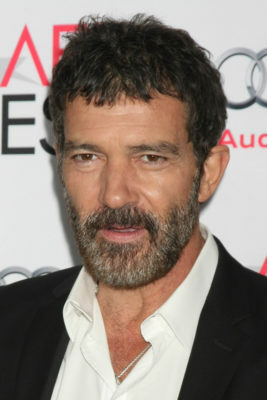 Antonio Banderas is headed to the small screen. Today, National Geographic Channel announced the star will play Pablo Picasso in season two of the TV show Genius. From Brian Grazer and Ron Howard, the anthology drama chronicles the lives of famous visionaries like Albert Einstein and Picasso. Season two of Genius is slated to premiere on National Geographic Channel in 2018. (WASHINGTON, D.C. – September 6, 2017) As National Geographic heads into this year’s Emmys with 10 nominations for the first season of GENIUS, Emmy- and Golden Globe-nominated actor Antonio Banderas (“Evita,” “The Mask of Zorro,” “The 33”) has been cast as Pablo Picasso in season two, which will chronicle the life and work of the Spanish painter, one of the 20th century’s most influential and celebrated artists. The new season, from Fox 21 Television Studios, will again be executive produced by Brian Grazer and Ron Howard’s Imagine Entertainment, Madison Wells Media’s OddLot Entertainment and EUE/Sokolow, and will premiere in 2018. “From Pancho Villa to Ernesto ‘Che’ Guevara, Antonio has had such a successful track record in portraying real-life, larger-than-life iconic figures with such honesty and depth. And with Picasso, I’m looking forward to seeing his interpretation of the man behind the artistic greatness,” added Grazer. Banderas is repped by Paradigm Talent Agency. The first season of GENIUS, which starred Geoffrey Rush (“The King’s Speech,” “Pirates of the Caribbean”) as Albert Einstein, was recently nominated for 10 Emmys, including Outstanding Limited Series, Outstanding Lead Actor in a Limited Series or Movie, Outstanding Directing for a Limited Series and more, marking a network record. It also became the network’s best performing new series launch in network history, watched by over 45 million viewers globally. The artistic career of Pablo Diego José Francisco de Paula Juan Nepomuceno Crisp�n Crispiniano Mar�a Remedios de la Sant�sima Trinidad Ruiz Picasso spanned more than 80 of his 91 years, much of it in his second home of France. Much like the subject of the first season of GENIUS, Einstein, Picasso imagined and interpreted the world in totally new and unorthodox ways, and constantly reinvented our perceptions of art and creativity. The prolific artist generated an estimated 50,000 works, among the most notable being “The Old Guitarist” from his Blue Period, now on display at the Art Institute of Chicago; “Guernica,” inspired by the Nazi bombing of a small Spanish town of the same name, recently displayed at the Museo Reina Sofia in Madrid; and “Les Demoiselles D’Avignon,” now on display at the Museum of Modern Art in New York City. Showrunner, executive producer and writer Ken Biller will continue his role overseeing the new season. The second season will also once again hail from Fox 21 Television Studios, whose recent “The People v. O.J. Simpson: American Crime Story” dominated every awards contest and critics’ list; Imagine Television, the producer of “24” and “Empire,” with executive producers Grazer and Howard along with executive producer Francie Calfo and producer Anna Culp; and Madison Wells Media’s OddLot Entertainment, which earlier this year produced the Academy Award-nominated film “Hell or High Water,” with executive producers Gigi Pritzker and Rachel Shane. Sam Sokolow and Jeff Cooney from EUE/Sokolow are also executive producers. Filming is expected to begin later this fall for a 2018 premiere on National Geographic Channels in 171 countries and 45 languages. What do you think? Did you see season one of Genius? Will you watch season two? Genius on National Geographic: Cancelled or Renewed for Season Three?